Home > Business > Electric Bus Services Launched in Nepal! Electric Bus Services Launched in Nepal! 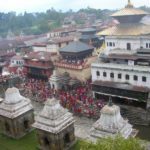 Finally, Nepal has achieved its strong goal of introducing Electric Vehicles (EVs) for safe and secure environment in the country! 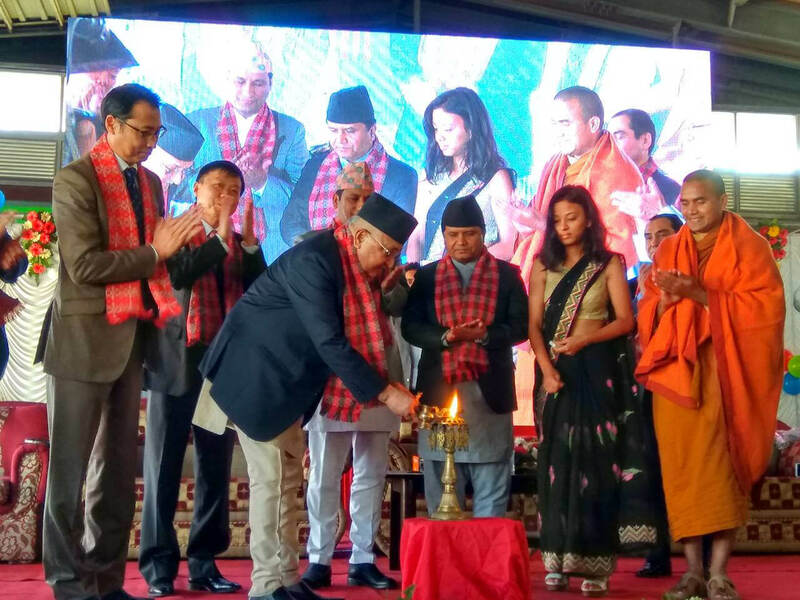 As a joint initiative of the Lumbini Development Trust (LDT) and Sajha Yatayat, Nepal’s public transport department, Prime Minister KP Sharma Oli launched electric bus services in the Kathmandu Valley on October 23, 2018. 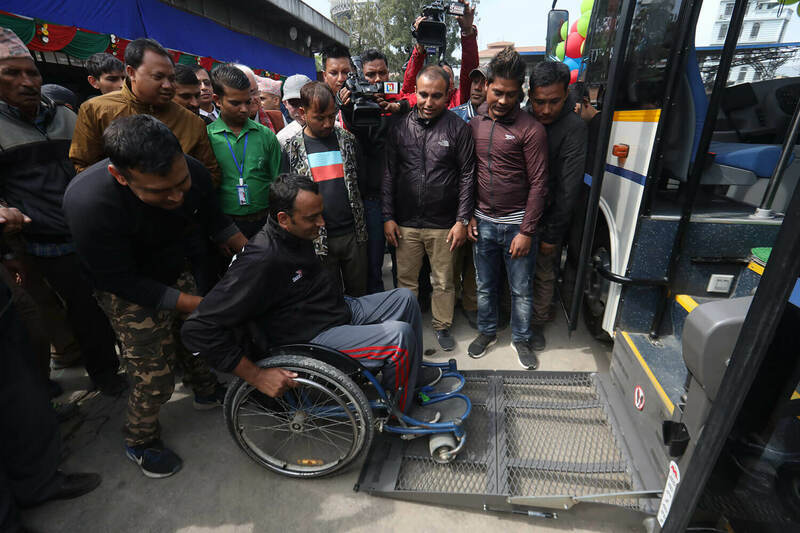 PM launched the services in a unique way by travelling in the bus from Pulchowk-based Sajha Yatayat premises to Singha Durbar. 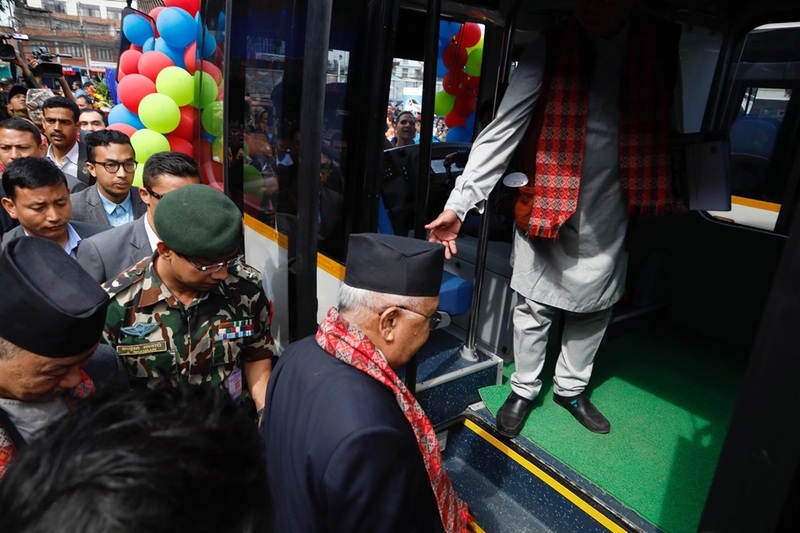 “It is necessary to emphasize the operation of electric buses during the shortage of petroleum products,” said Oli after the launch. Oli added that the government will work with authorities for full-fledged promotion of such vehicles soon. 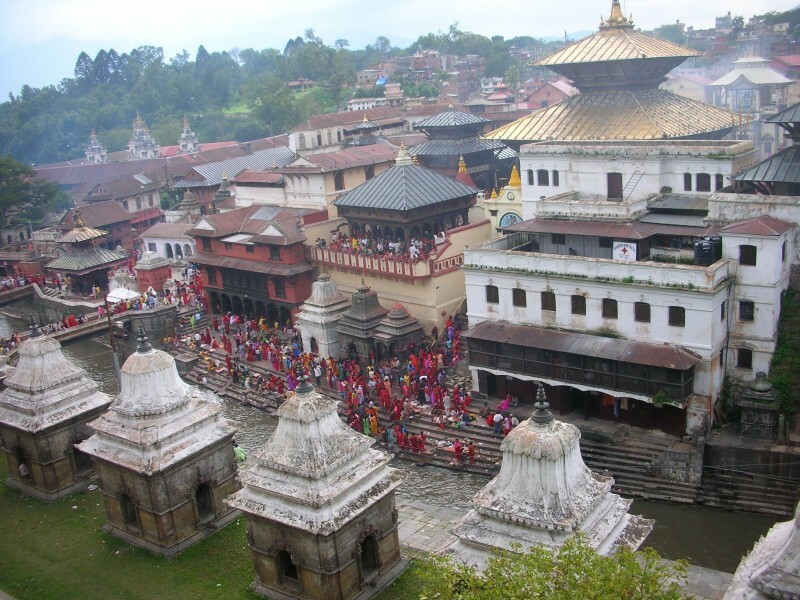 Supporting these services, the Nepal Electricity Authority (NEA) will be installing charging stations at 20 different places. 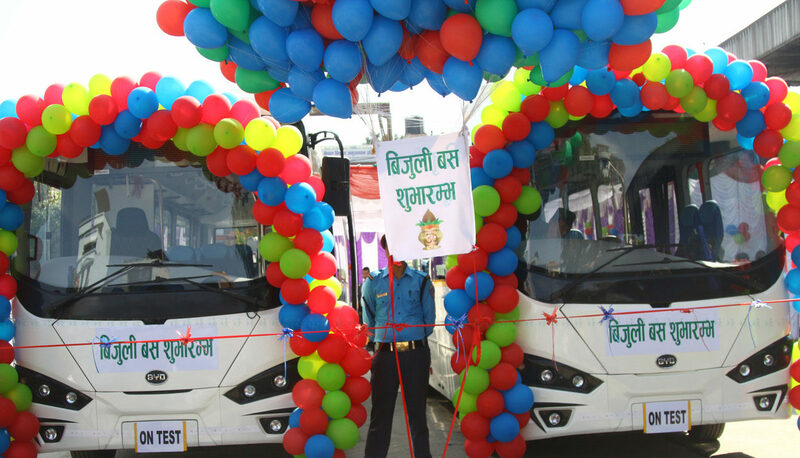 Expressing government’s commitment towards promoting such vehicles, Oli also welcomed private sector for expansion of such services across the country. The initiative is part of the South Asia Tourism Infrastructure Development Project backed by the Asian Development Bank (ADB). Under the project, ADB has provided five electric buses to LDT and two of those were brought to Kathmandu for operation from today. Sajha Yatayat will be managing the services of these eco-friendly buses that are also disabled-friendly. 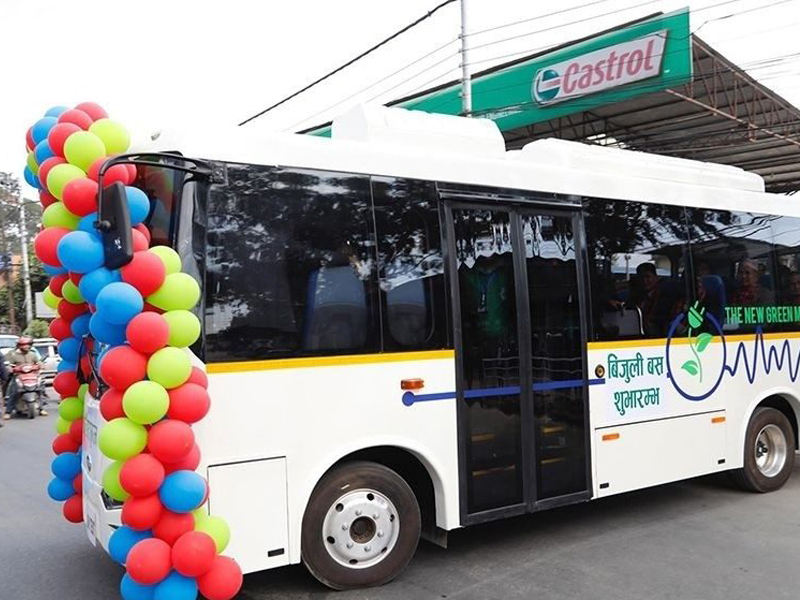 On the occasion, Oli announced a new action plan for promotion electric transport which envisages to make at least 20 percent public vehicles in the country battery-operated or electric by 2020. The Prime Minister also unveiled the country’s maiden National Plan of Action for Electric Mobility, formed on the basis of Nationally Determined Contributions (NDC) agreed upon at the 2015 Paris Climate Conference. “It is the beginning of a new era in public transportation. We had trolley buses donated by China 40 years ago, but that was unfortunately closed. We are now reopening the door to electric mobility,” said Sajha Yatayat’s Executive Director Bhushan Tuladhar. PM also announced that the country will reduce its fossil fuel dependence to the level of 50 percent by 2050. 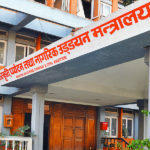 Through such measures, the government plans to make Nepal self-reliant with its hydropower potential in the near future, provide electricity supply at cheaper prices to support battery-operated vehicles and replace fuel usage with the domestically-generated clean energy solutions. Meanwhile, analysts feel that the country need to import a minimum of 5,000 electric buses to reach the goals announced by PM. They opined that making one-fifth of diesel-run vehicles electric by 2020 is an uphill task, considering the current scenario. As the reports say, Nepal imported 23,638 diesel-run buses, mini & micro buses, jeeps and three-wheelers in the last 25 years, with majority of them still operating successfully.